Gardeners have many stories to tell about their lives and communities. Clockwise from left to right: Four Generations of Gardeners, A Passion for Insects, Watson and Bassett, and Women in the Food Movement. Stories about gardens can tell us about where we’ve been and where we’re going. The beliefs we hold, scientific innovation, foodways, and cultural and community traditions are reflected back at us in the why and how of our gardens. From the Victory Gardens of World War II to community garden plots in cities and the tomatoes growing in our own backyards or balconies today, gardens are an expression of our social, cultural, artistic, and environmental values. 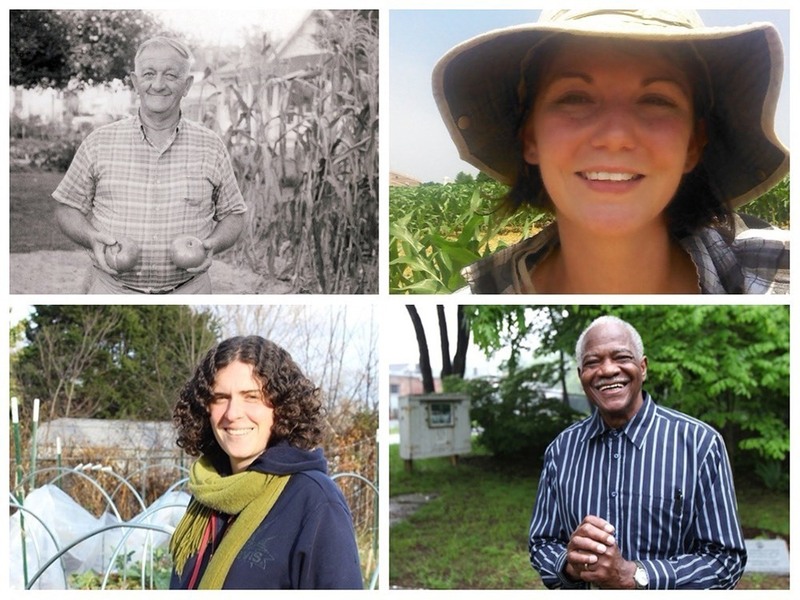 How can documenting and sharing these garden stories in our own communities inspire others? Why is it important to save these stories for future generations? This is a project about sharing wisdom, life experiences, and community history from a gardener’s point of view. It is also an opportunity for you to engage in real-world fieldwork. Our lives are local, and investigating local stories and local voices can help students explore how they are part of a community, learn more about where they live from fellow citizens, and learn where they can do good in their own community. Storytelling is an act of sharing and participating in civic life. You can also share your interviews with a national audience by contributing your garden stories online to the Smithsonian Gardens Community of Gardens digital archive. By completing this step, you will become Smithsonian Gardens Green Ambassadors, joining a network of young people helping others better understand the meaning and value of gardens and green space to American life—today and in the future! Identify, prepare, and conduct an interview with a gardener in your family or community. Assemble an interview, images, and other media into a narrative. Submit these materials to communityofgardens@si.edu so that your story can be added to the Smithsonian Gardens Community of Gardens digital archive. While we encourage you to complete all steps involved in the story gathering process, the steps represent optional guidelines, not requirements, for submitting a garden story to Community of Gardens. As noted above, the only requirement for becoming a Green Ambassador is to interview a gardener and submit your stories to Smithsonian Gardens.